Taco Time NW Cycling Team – Page 3 – Northwest FAST, every single day! RENTON, Wash. (December 4, 2015) – Taco Time Northwest is excited to announce its title sponsorship of the Seattle Super Squadra Cycling club. 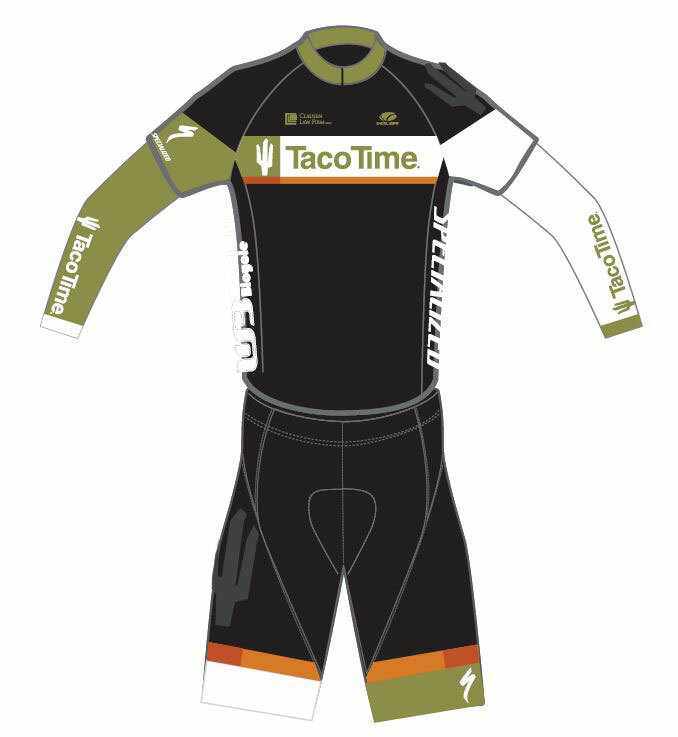 The club, formerly known as Cucina Fresca, will officially be racing as the Taco Time NW Cycling Team for the 2016 season. Seattle Super Squadra Cycling Club is one of the Seattle area’s most recognized amateur cycling teams with more than 50 members specializing in all cycling disciplines including road, cyclocross, mountain and track. As part of the sponsorship package, Taco Time NW will be the name sponsor of the Volunteer Park Criterium, one of Seattle’s longest running bike races. Additionally, Taco Time NW looks forward to welcoming riders at their restaurants for post-ride meals or as a meet-up location for team rides as well as collaborating with the team on additional events to benefit the cycling community. We are excited to announce that starting for the 2016 season, Seattle Super Squadra will be racing as the Taco Time NW Cycling Team! We are thrilled to be partnering with Taco Time NW, an iconic Northwest institution. Taco Time’s dedication to fresh local ingredients and sustainable practices is inspiring, and fits well with our desire to bike everywhere. Plus, have you tried the Mexi-Fries? They’re pretty darn good! This marks the beginning of an exciting new era for our team. We aren’t just wearing new colors; we’ll be working to bring a great company into the world of cycling, and show our friends around the region how Taco Time fits into a healthy, active life.